I had the privilege of interviewing health and wellness expert, Chelsea Hise-Strate, of Life Balance by Chelsea. She is like my own personal Dr. Oz. Except not really anything like that. I recently decided that I want to do whatever it takes to live my best life ever and that it was time to start questioning almost every behavior that I have. I told Chelsea this and she decided to give me a personal challenge. The challenge was to not eat any processed foods for one week and to keep a food journal documenting what I ate, when I ate it, and how I was feeling. Chelsea sent me over a cheat sheet and some info for my first day of the challenge which you can see here. Check out the video to see how the challenge went. Spoiler alert: I’m addicted to clean eating! There you have it. I’ve been sucked in to the healthy living lifestyle and I don’t see myself leaving it any time soon. I love that feeling when something just clicks and you know you are on to something. I knew I could do the challenge but I had no idea just how much it would change my body and ultimately my life. If I feel this great after a week of eating like this then I can’t imagine how I’ll be feeling in a few months or even years. I’ve always had some acne and it has been clearing up like crazy. My energy and positivity is through the roof and I have had multiple friends comment on the physical change they see in me, specifically in the brightness of my eyes! I sound like a total hippy granola lover right now (raw, organic granola that is). And I’m ok with that. If you’re interested in seeing what I ate over the course of the week and how I was feeling, click here. Food has always been an issue for me. As some of you know, I had a pretty severe eating disorder for about a decade of my life. I spent all my energy being consumed with weight loss and food. I have to admit that when I was given this challenge, I was a bit fearful. Afraid that consuming my mind with food would plunge me back into the disordered mindset I had finally fought off. Scared that putting so much energy into recording my every bite would flash me back to the years I spent counting every single calorie. But after honest consideration, I decided that I am at a healthy enough place in my life that I could take on this challenge. And I am more than grateful that I did. So much of my eating issues have been based around control. I’m not sure if eating disorders ever fully go away but I can promise that they lose almost all of their power with each and every day that you commit to overcoming them. Not only was I altering my diet and recording my every bite, I was continuing the ongoing process of learning to eat out of physical hunger rather than emotionally. I have to fight every day to not reach for comfort food any time I feel stressed, tired, overwhelmed, sad or bored. 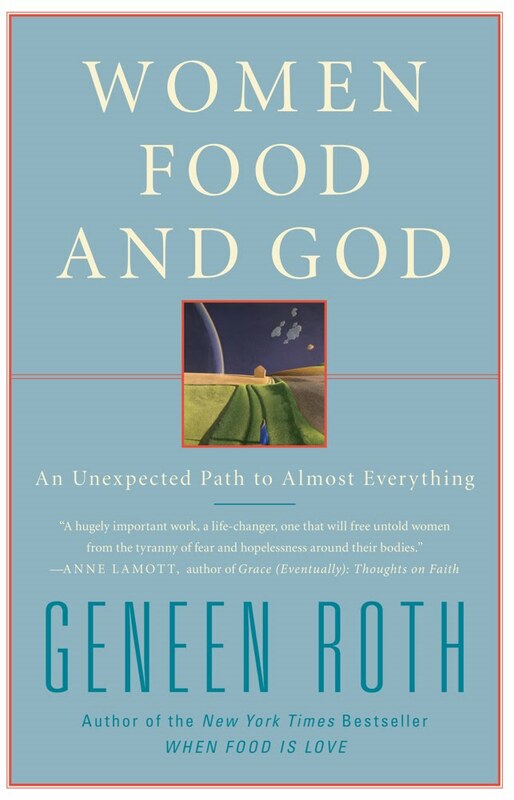 Geneen Roth is an author who has changed my life and I highly recommend her books to anybody suffering from emotional eating or who feels like they are constantly in a battle with food and their body. 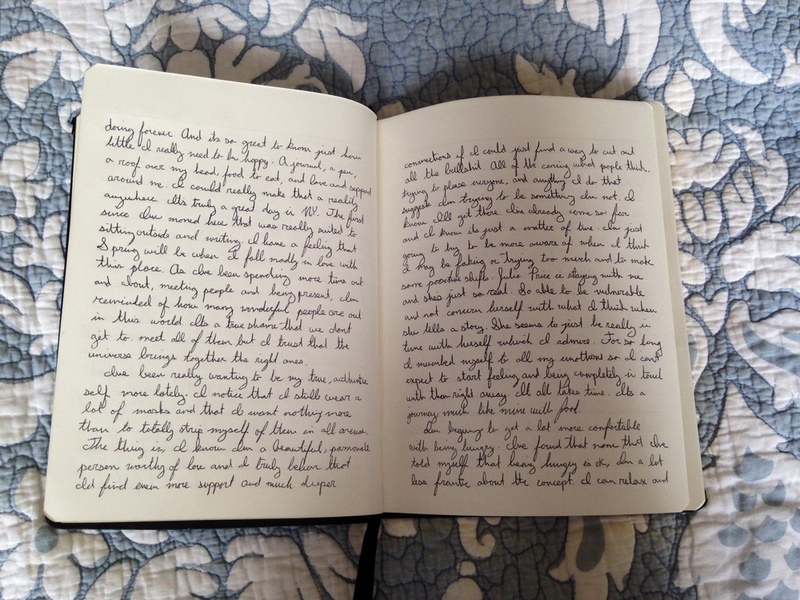 But with this challenge I found that I felt more in control than ever before. I didn’t obsess over what I was eating- I chose to eat things because I started listening to my body and paying attention to what made it feel good. I was able to recognize that I didn’t need to be perfect with this. All that mattered was that I did my best. I was more in tune with my body than every before. Where I used to look for food as an escape from how I was feeling, I was finally able to get fully in touch with myself. I felt like I could finally shift my thought process from seeing food as an evil, to recognizing how wonderful fresh nutrient-rich food could make me feel. It is early to say this, but I’m fairly certain that this is the start of a lifetime of health, wellness, and self-appreciation. I have no plans to be perfect but I have every intention of giving it my best shot. This challenge has woken me up to how connected everything truly is. Because I am feeling so great physically, my mind is clearer and I am happier. I am infinitely more productive, driven, and present, and I have been spending my new excess of energy on trying to bring joy to all those that I come into contact with. Have any of you experienced similar results from a change in your diet and lifestyle? I would love to hear your story of transformation and share it with other readers so we can continue to inspire people to live their best lives possible. I will keep you guys posted on how this all progresses but as of now it has been two weeks since I started and I have no intention whatsoever to stop. Thanks for supporting me in this journey and if you have any questions, comments, or feedback, I would absolutely love to hear it!